iSmartAlarm is a security system built on innovation and created for not only the twenty-first century but also for those who love easy-to-use, high-quality products that get the job done. These products and packages come with a simple setup guarantee, a no-contract agreement, and zero binding monthly fees. Along with a few other pros, the iSmartAlarm Smart Home Security System is a do-it-yourself product that you can honestly do yourself. It brings comprehensive and intelligent home security to any home and offers a legitimate alternative to the DIY home security market with some undeniable value for money. Though it may take a few steps to get set up, the iSmartAlarm is usable with a smartphone and several devices included in their packages. CubeOne, which is the central hub and core brains of the whole system, uses Wi-Fi in your home to communicate with the devices via sensors and cameras. Once connected, you can move on to downloading the app for iOS or Android, which takes little to no time at all. When your iSmartAlarm app is downloaded, the instructions are right on your phone and you can simply follow them. Setting up installation makes it possible for you to activate and deactivate your system from anywhere. There are different modes that you can choose from, depending on what you need or how long you would be away from home. You can choose Arm, which actives all sensors, devices, and the cameras that are installed in your home. Disarm is another option, which deactivates the entire system when you don't need it. Home turns on all the contact sensors in your system but leaves the motion detectors off. Panic releases a 110 dB siren throughout your property and sends notifications immediately to family members. There is no contract. That is what sets this company apart from most. This self-setup system doesn't come with any monthly fees or a binding contract for you to keep using their product. You simply purchase it and then put it to use. There are various bundles and packages that you can choose from freely without the lingering commitment of a contract or another fee on top of the final price. Even though they require no contract to keep you protected, their Help Center is filled with FAQs, manuals, troubleshooting guidelines, and specifications and manuals to help guide you through any trouble you may experience with set up or throughout the process. 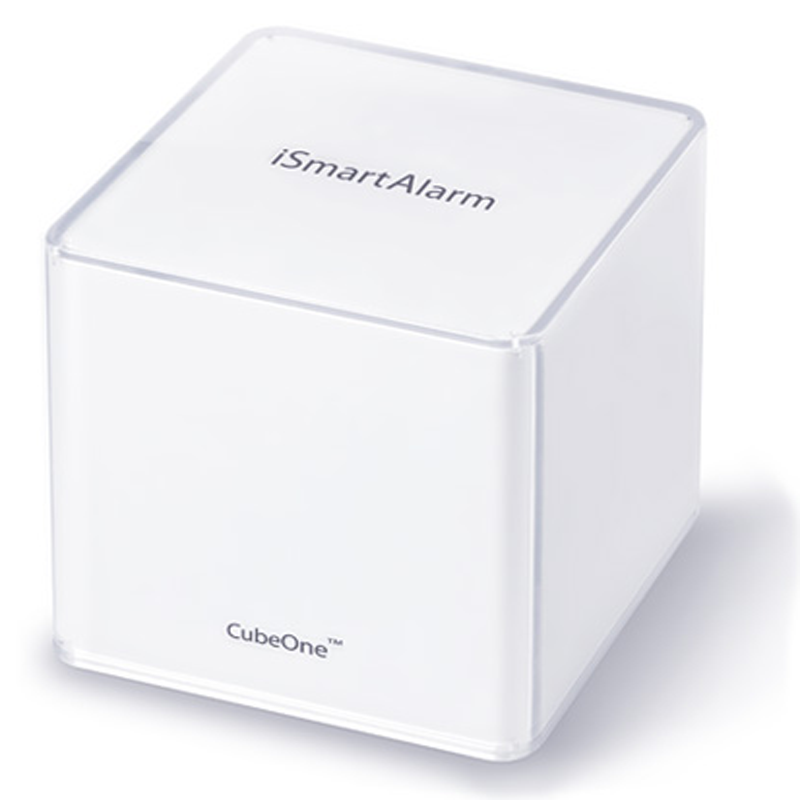 Both these options to seek help are available for not only camera and equipment support, but also for the installment of CubeOne, the sensors included, and the other devices that might be connected to your iSmartAlarm package. If you have other questions, you can also send a message to their direct Support Center. They are available in France, Germany, Italy, Spain, and the United Kingdom. Depending on what package you choose, there are various pieces of equipment that come with the iSmartAlarm Security System. The accessories available to complete the system and equip your home with a high-powered, reliable security system are as follows: a keypad, a satellite siren, a remote tag, Smart Switch, and a yard sign. There are also options for contact sensors (2 pack) and motion sensors. With your system, you receive a CubeOne, which is their specific piece of technology that is necessary to work the entire security system. There are eight various options for packages and bundles you can choose from to pick the perfect choice of security system you need to make your home the safest it can be. From the Smart Home Video Bundle to the Shield Package, every option comes with a CubeOne. Without this piece of equipment, the security system cannot function. Where the packages vary, is a number of sensors and remote tags that come with each. There are contact sensors with every option available, ranging from 2-8 sensors for the usage in your home. These sensors, as the name states, use contact to detect if there was an entry in your home. You can place these on doors and windows to know if they have been opened or broken into. The motion sensors available range from a count of just one to seven to be placed in various locations around the house. These, of course, use motion to detect an intrusion or break-in in your home. Only one package, the Smart Home Control Package, comes with two of the Smart Switch features. This feature allows you to turn lights on and off from the remote application of your smartphone from anywhere in the world. This can help you give an illusion to intruders that you appear to be home, with hopes of warding them off. The Remote Tag, which is available in all features, allows you to control the system from home without having to open the app on your smartphone. The packages available are called: Smart Home Video Bundle, Smart Home Control Package, Preferred Package, Deluxe Package, Plus Package, Guard Package, Protect Package, and Shield Package. With all these various options available, it is possible to find the perfect fit for you. If you are looking for a low-commitment, yet high-quality security system product, then iSmartAlarm might be a smart choice for you. With their easy setup and control from anywhere in the world, the convenience of this security system is an easy quality to compare with any other system.